UFO Memorabilia Collection - Countdown Annual 1973.
large 'cutaway' picture of an interceptor. colour strip story " Smash and Grab". colour strip story "The Haunted Mine". board game for 2-4 players using dice. 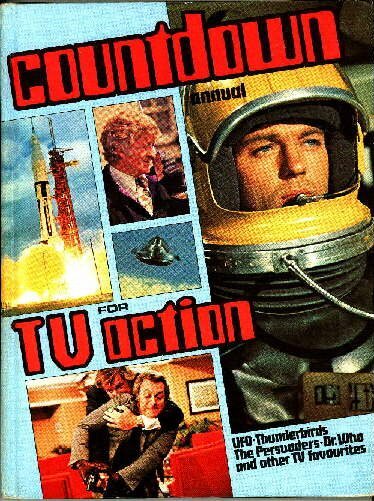 Short text article "The Ed Bishop Story".